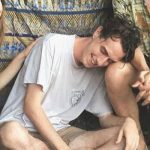 DIIV figurehead Zachary Cole Smith has given a new interview about his sobriety, opening up on his recovery from drug addiction. Cole’s much-publicised past relationship with singer Sky Ferreira is also touched upon. The pair were stopped by police back in 2013, and subsequently arrested on drugs charges including the possession of “42 decks of heroin”. Ferreira was unaware of Cole’s drug use at the time. He continues: “With Sky I was constantly trying to get myself better, and I would want things to be better. But I would use and lie about it, and use and lie about it and get caught and hurt her feelings. Because if you see someone you love shooting heroin in the bathroom, finding them blue on the bathroom floor, it’s gonna affect your ability to trust that person. And it’s gonna hurt you, because you think, ‘Why can’t I help you? Am I not enough?’ It creates this deep-rooted trust and insecurity issue that ultimately you can’t repair. And that was my fault.